A11 GLENN BROTMAN: AIRFIELD OPERATIONS PHONE 650-821-3349 AND FAX 650-821-4670. SHANNON WILSON: AIRFIELD OPERATIONS PHONE 650-821-3366. 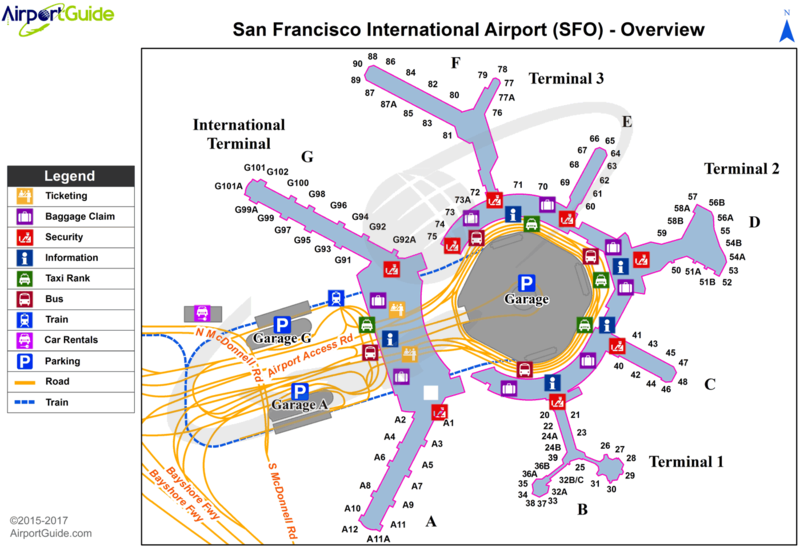 A110-10 NO GROOVING EXISTS AT ARPT RY INTERSECTIONS. A110-18 RY 10 PREFERRED RY BTWN 0100-0600 WEATHER AND FLIGHT CONDITIONS PERMITTING. A110-20 AIRLINE PILOTS SHALL STRICTLY FOLLOW THE PAINTED NOSE GEAR LINES AND NO OVERSTEERING ADJUSTMENT IS PERMITTED. A110-21 PAEW APCH END RYS 28L, 28R, 19L INDEFLY. A110-22 RYS 01L/19R, 01R/19L, 10R/28L, 10L/28R GROOVED FULL LENGTH EXCEPT AT RY INTERSECTIONS. A110-29 ALL OUTBOUND TWY YANKEE HEAVY AIRCRAFT WITH A WINGSPAN OF 171 FT. OR GREATER UNDER POWER PROHIBITED FROM ENTERING WESTBOUND TWY ZULU. A110-3 FLOCKS OF BIRDS FEEDING ALONG SHORELINE ADJ TO ARPT; ON OCCASIONS FLY ACROSS VARIOUS PARTS OF THE ARPT. A110-30 SIMULTANEOUS OPERATIONS IN EFFECT ALL RYS. A110-32 ASSC IN USE. OPERATE TRANSPONDERS WITH ALTITUDE REPORTING MODE AND ADS-B (IF EQUIPPED) ENABLED ON ALL AIRPORT SURFACES. 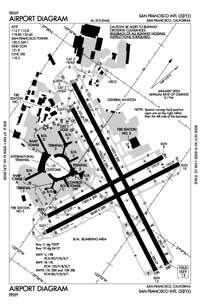 A110-33 RWY 1L CLSD TO DEPARTING TRIJET ACFT WITH WINGSPAN GREATER THAN 155 FT.
A110-34 RWY STATUS LGTS IN OPN. A110-35 TWY S2 BTN TWY Z AND TWY S3 CLSD TO ACFT WITH WINGSPAN OVER THAN 215 FT.
A110-4 HIGH SPEED TWY (T) GRVD FULL WIDTH BTN RWY 28R AND 28L. A110-6 NOISE SENSITIVE ARPT; FOR NOISE ABATEMENT PROCEDURES CTC ARPT NOISE OFFICE MON-FRI 0800-1700 BY CALLING 650-821-5100. A110-9 SEVERAL RY HOLD POSITION SIGNS ARE ON THE RIGHT RATHER THAN THE LEFT SIDE OF THE TWYS. A14 DRAKE POSTON: AIRFIELD OPNS SERVICES MGR PHONE 650-821-3348. A49-19L RY 19L MALSF HAS A NSTD LENGTH OF 1,115 FT WITH 3 SEQUENCED FLASHERS. A57-01R APCH RATIO 28:1 TO DISPLACED THRESHOLD. A58-01R APCH BLOCKED BY A BLAST FENCE AND LOC ANT. Dual Dual Tandem Wheel Landing Gear: 877.